It was a Friday (20th April). When I was talking with one of my very good friends about Fr. Bonnie, I got a message from a priest around 11.45 p.m. That message was “He passed away”. I was speechless for a few seconds. Then I contacted another friend who was with Rev. Fr. Bonnie Fernandopulle at hospital. He told that Fr. Bonnie was called to eternal rest. When I heard it, I was speechless again. That day, I cried and cried like never before. I have never thought that he would leave us so early. Fr. Bonnie was a person who always thought about God’s will. He was ordained as a priest in 1982. 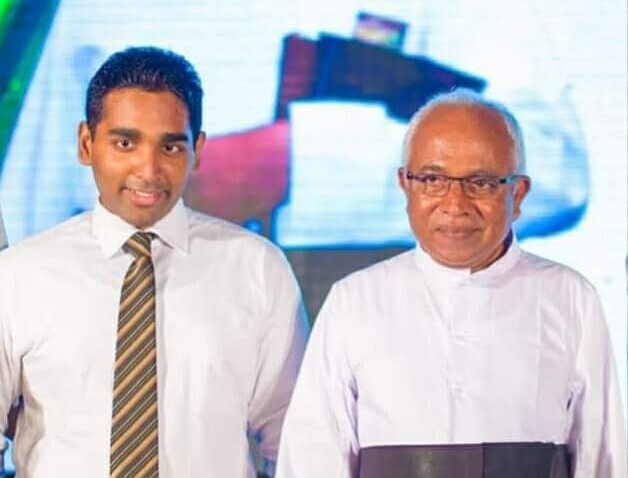 During his 36 year old priestly life he served in Catholic colleges and in St’ Aloysius minor seminary, Borella for about 34 years. Most often he was able to guide both students of colleges and seminarians. Actually Fr. Bonnie was a prominent priest in the archdiocese who dedicated his life to improve discipline and education in Catholic schools. 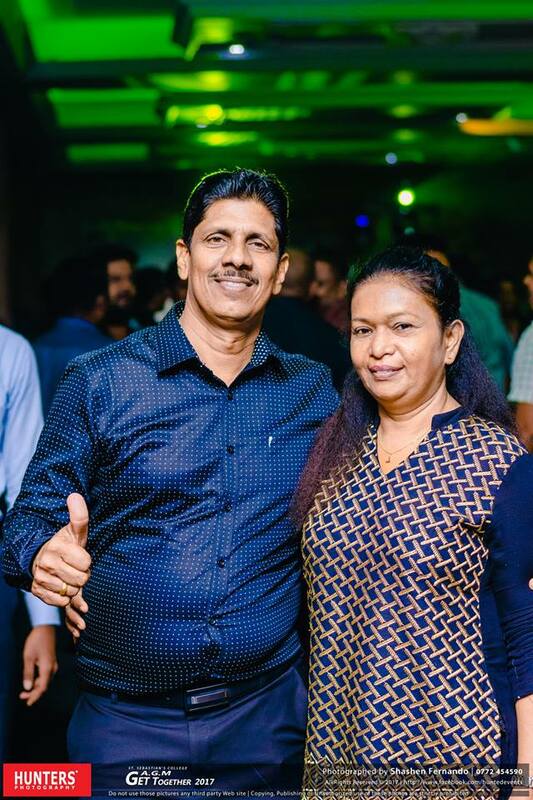 Even though he was the parish priest of St’ Mary’s Church, Dehiwala for two years, he was loved by many parishioners as he was a good shepherd to all. Father Bonnie was a clever student since his childhood. He was blessed with so many talents. He never hid those talents. He used those talents when he was serving in the vineyard of Our Lord Jesus Christ. He humbled himself and used his talents not for his own advantage, rather he used all his talents for the betterment of many students and seminarians. He knew how to use his talents accurately at the correct time. Therefore whatever he had done, it was succeeded. He was a lovable father to all students. He always loved his students. Many students know how he cared about them. When he was the rector of St’ Aloysius minor seminary, he always loved all seminarians. The seminarians who were at St’ Aloysius minor seminary when Fr. Bonnie was the rector, are priests now. Many of them told that they never forget how Fr. Bonnie cared about them. He was both father and mother to young seminarians. When a seminarian was sick, he took the seminarian to the doctor. He was always with them. He helped them to solve their problems. He helped seminarians to identify their own talents. One priest told me how he was helped by Fr. Bonnie to identify his hidden talents. Today that priest is a great priest who uses his innovative methods to spread the word of God among people of God. That priest told me that he can preach the word of God now, because of Fr. Bonnie. This is just one example. There are so many priests who know about Fr. Bonnie very well. He was a lovable father to all seminarians. Fr Bonnie was not only a lovable father to seminarians, but also to all students at St’ Sebastian’s College, St’ Joseph’s College and St’ Peter’s College. I know about it very well as I was also a student of this lovable Father. He was a person who always wanted to see whether students are on the right track in their lives, because he wanted to make every student a great person. I personally know how he cared about students. Whatever he said and done, he did everything for the betterment of students. His main goal was to improve the discipline of students and to give them a very good education as he always thought about the importance of education. Fr. Bonnie was really a good shepherd. Jesus Christ, the Good shepherd knows his all sheep individually. He calls each sheep by his/her name. Fr. Bonnie also knew the name of each student both at seminary and colleges. That was the prominent feature that I saw in Fr. Bonnie. He never forgot the name of any person whom he knew. He knew everything about each member of his flock. Jesus Christ always thinks about his flock rather than thinking about himself. He wanted not to be served, but to serve his people. Likewise Fr. Bonnie was also thinking about his sheep; the students. He didn’t think about himself, not even his health, but he dedicated his whole life to improve the lives of many students. He was also a loveable father to teachers and parents. He was really a good shepherd. I personally believe that Fr. Bonnie was a revolutionary priest because he rebuilt my alma mater, St’ Sebastian’s College. That was the revolution he has done which cannot be forgotten. He spent 1/3 of his priesthood at St’ Sebastian’s College (about 13 years). His great leadership made St’ Sebastian’s College, one of the famous schools in this island. Whatever the challenges and barriers he faced he never lost his faith in God. He always told that he didn’t do anything, but God did everything through him. He had a strong faith in God almighty. I visited him 3 days before his death. I still remember he said loudly, “I believe in one God” when we were praying at hospital. Nothing was able to break his faith in God, not even the diseases. Fr. Bonnie was the most precious priest that I’ve ever met in my life. I still remember the first day I met him. I was a junior prefect (Grade 9) when I met him. He taught me good values and great leadership qualities. He told me and my brother to attend Holy Mass every day. He told us to read the readings during the Mass. He strengthened my spirituality and my brother’s as well. I started reading daily Gospel from Grade 9 and I still continue reading daily Gospel. I experience the love of God through the Word of God. I do it even today because Fr. Bonnie taught me the power of God’s word. Fr. Bonnie is the role model of my life. There are many other things which Fr. Bonnie has done. If every one of them were written down, I suppose that not even this country itself would have space for the books that would be written.